Ancon Head Restraints provide the necessary restraint to the top of masonry walls. They allow for vertical movement to accommodate shrinkage or thermal movement of the wall or structural frame, while restraining wind loads. The Ancon IHR is used for restraining the top of internal walls or the top of the inner leaf of a cavity wall. 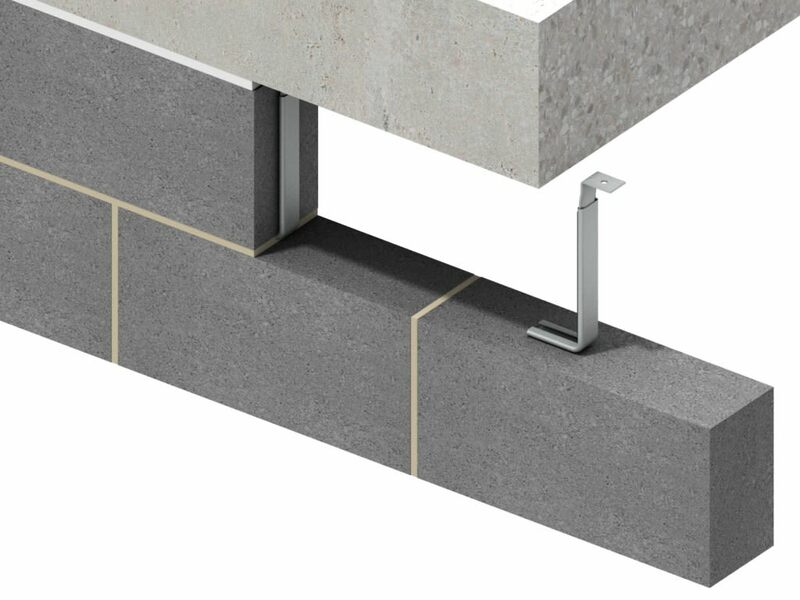 The opening at the front of the channel stem is sealed to prevent mortar ingress and to ensure that vertical movement can take place between the blockwork and the structure. The standard Ancon IHR will suit a 215mm high block; other sizes between 150-250mm are available. 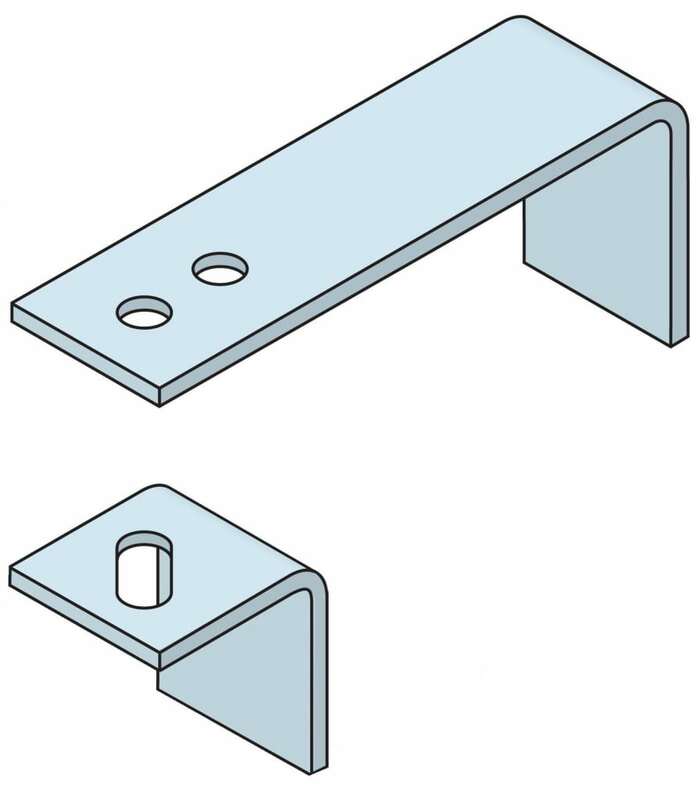 The sliding tie can be provided with a hole (IHR-B) or slot (IHR-V) to suit M8 bolts, with a notch end to fix directly into a 38/17 or 30/20 cast-in channel (IHR-C), and with a notch end to suit the Hammer-On section that attaches to a steel flange without site drilling (IHR-H). It is also available to suit the SDTSS-38-5PT. 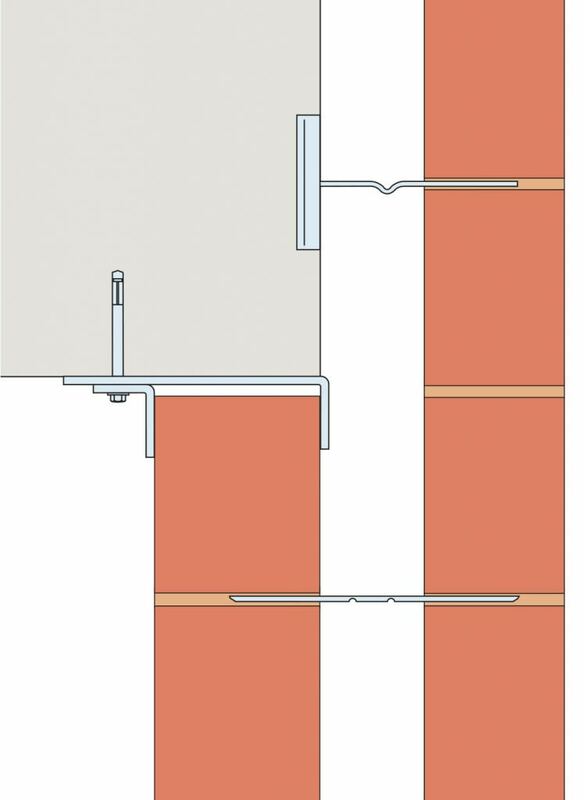 The Ancon FHR Head Restraint is used for restraining the top of internal walls or the internal leaf of a cavity wall. The two angles clamp the top of the wall and have 10mm diameter holes to suit M8 bolts. 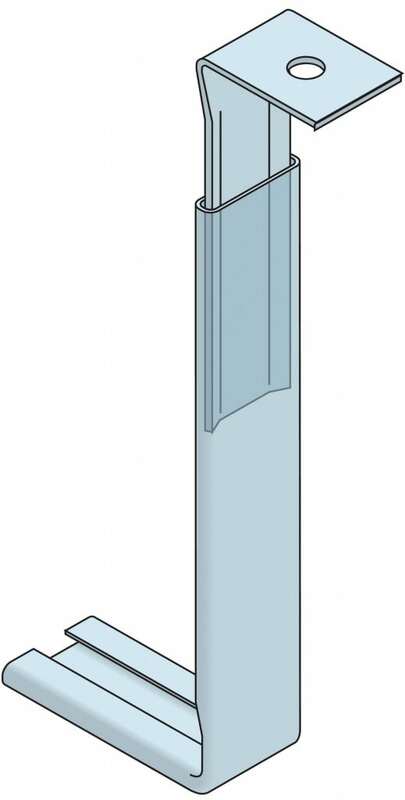 They are supplied with two holes in the longer angle to allow the restraint to fit 100mm and 140mm blockwork. Each restraint provides a design resistance of 1890N.